From executive business jets to general aviation hobbyists, Austin Executive Airport is home to more than 110 aircraft. With a state of the art FBO, pilots and passengers alike will feel welcomed into a first-class travel environment. Being established in 2018, it is our newest tower with the latest technology. The Austin Executive Airport is located just 12 miles NE of Austin Bergstrom International Airport and about 10 miles from Downtown Austin. Between the complex airspace, nearby airports, and fast-paced world surrounding Austin, our controllers are ready to bring you home safely! 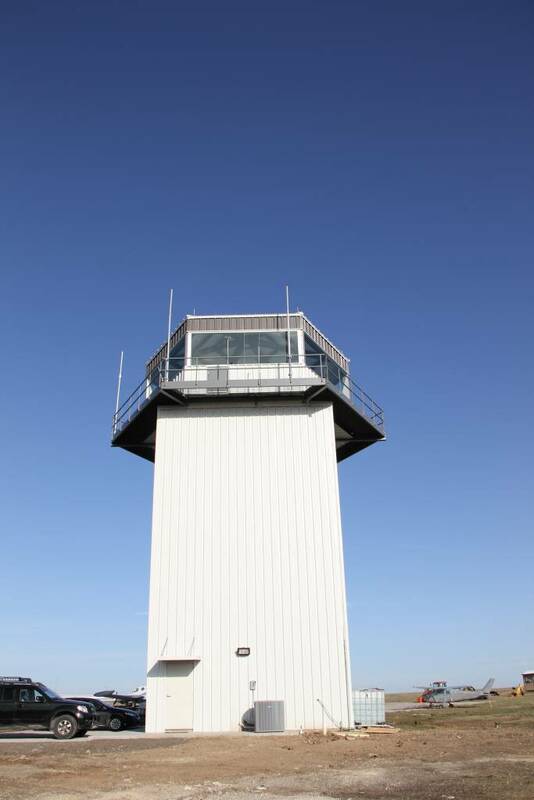 We are proud of our control tower. Not only does it have a “retro 1940’s look” but in the overhaul process we upgraded it to the newest technology. The controllers love it and say it is the most modern equipped tower they have worked at. We have the largest arrival canopy in the world with around .75 of an acre to keep passengers covered from the hot Texas sun or occasional rain shower as they arrive. We are conveniently located on the west side of Houston. Interstate 10 provides a straight drive into downtown, major business centers, and the energy corridor. Valdosta Regional Airport was constructed in the early 1940’s as an auxiliary to Moody Field. It was declared surplus by the US Government December 8th, 1946, and became a public airport. In 1980, commercial commuter service to/from Atlanta was inaugurated. The airport consists of three runways, two of which may be used by current commercial aircraft. The airport is located 2.5 miles south of the Valdosta Central Business District. The commercial terminal, located on the northwest portion of the field, is a modern facility that was opened in 1998. The general aviation terminal is located off Madison Highway on the east side of the airport, where all general aviation activity takes place.